The process of picking a musical instrument can be a little intimidating, especially for those who are first starting out. With the wealth of information available online – and many people who will probably try to up-sell you – how is one to make sense of it all? Like any major purchase or investment, buying the right musical instrument requires research which can be broken down into several steps. The price point is likely to be the biggest factor. You don’t necessarily need to spend a fortune getting a top-of-the-line instrument, but as with any product, going budget will ultimately end up costing you more. Expect to spend between $300-$500 for a decent mandolin, violin or guitar; if you spend below that, you are likely to have trouble with maintaining and repairing the instrument. To get an idea of what a typical price is for the instrument you want, look on eBay, Craigslist and other similar sites. Should you get a USA-made or imported instrument? 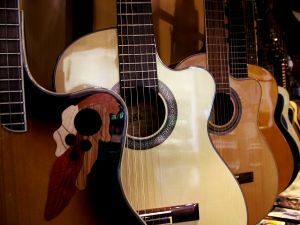 These days, many manufacturers produce well-made instruments overseas, which often sell for less than their American counterparts. However, a USA instrument is likely to have a better resale value. An instrument’s playability is important. It should stay in tune and not require constant adjustment. Materials are important as well. For example, a good violin should have an ebony fingerboard, not just wood that is painted black. After you’ve found your instrument, develop a relationship with a good local luthier. Just as a good mechanic is a valuable person to know, so too will be the individual who maintains and repairs your instrument. Even if you go through several instruments during your career, make sure ou get the most out of each of them. From research to purchase to maintenance, your instrument is an important part of your life. The origin of music can be described as creating sounds in time. Thus, time, rhythm and phrasing are all fundamental to musicianship. Time is vital in many areas of life: punctuality for appointments and rehearsals; the pacing of a meal or a conversation, or even a kiss. (We’ve all had those awkward moments while kissing.) 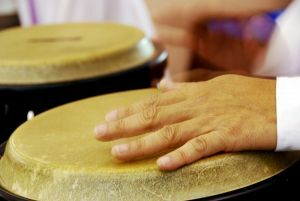 And in music, many of the best players measure others not by their equipment, song list or technique, but by their sense of time and rhythm; their feel and phrasing. Besides your instrument, perhaps your most important piece of musical equipment will be your metronome. You don’t necessarily need one with all of the bells and whistles; just get a digital metronome that is LOUD and can be amplified. At the Black Tree School, we teach many exercises designed to develop INTERNAL rhythm, subdividing quarter notes into eighths and triplets and hearing polyrhythms. Internalization is important because if you can’t feel a rhythm internally, it won’t translate to your pick, bowing arm or fingers. Great musicians in all genres – such as Miles Davis, Bobby McFerrin, Jascha Heifitz and Jimi Hendrix – all have unique voices. A great musician’s feel and phrasing is just as important as their tone and technique, and can often be the thing that leaves the biggest impression on the audience. One of the most important aspects of music, especially for beginners, is finding the right head space or frame of mind for approaching it. It can be a personal struggle – it was for me – which is why I want to make sure that the process is graceful and rewarding for all of my students. Questions I’ve often been asked are: am I too old to learn music? Do I have enough natural talent? Do I have enough time? Let’s start by saying that no one is too old to learn music, or anything. Jazz guitar legend Wes Montgomery didn’t start playing until he was 20. Adults often have an easier time learning than children, because they already have developed skill sets. Anyone who has become a lawyer, gotten a real estate license, become a chef, or entered almost any other career has experience with the processes of learning, memorization, studying and more. In a lot of ways, learning as an adult can be more satisfying and efficient than as a child. As for “natural talent”, in 20 years of teaching, I’ve never met anyone who didn’t have ability. Some learn faster than others, but if you can speak and count to four, you can play music. Speaking and hearing your own voice – whether it is louder, softer, higher or lower – demonstrates relative pitch, and counting is an example of rhythm, so vital to music. To be sure, some people might be more predisposed to learning quickly than others, due to their natural skill set or upbringing. Perhaps they grew up in a musical household and saw older siblings taking lessons; perhaps they are naturally gifted in math, but in music, EVERYONE has to go through the same process of discipline, work and development. As Edison said, “genius is 1% inspiration and 99% perspiration.” The best “natural athletes” in sports don’t always have the successes of those who work the hardest. The most naturally beautiful woman at a party might not be the sexiest in the room. Everyone can find time for music. You don’t have to practice hours and hours per day; if you have clear goals and a good teacher to help guide you, and if you genuinely want to learn music, you will be able to make time. Smart phones allow the study theory and ear training even when one doesn’t have access to an instrument; mobile media also enables people to listen to great music whenever they want, which is an important a part of the learning process. One’s relationship with music is long-term. Any long-term relationship will have its ups and downs, but if it’s approached with a good mindset, the experience will ultimately be positive. Of all the musical decisions you will make – what kind of music you want to play, which instrument, what kind of band you will join – the most important and valuable one is finding the right teacher who will help guide you through the mountainous terrain of musicianship. How do you find a good music teacher? Like a good mechanic or doctor, a great music teacher is someone with whom you will have trust and rapport. The best teachers are versatile veterans who can deal with many different situations: slow learners, fast learners, tactile learners, visual learners. They can recognize common problems that music students face, and can help the students overcome them. They can customize a lesson plan to help fit the needs of each individual with whom they work. Availability is important as well. While many music schools limit instruction time to an hour, or even half an hour, Black Tree offers lessons in blocks of two hours or more, providing a more intensive learning experience for the student. Good teachers focus on results. They will practice with the student; they will give students techniques for practicing on their own. They don’t stop until the student gets the concept, and they will push a student farther than he or she would go alone. Just as a personal trainer will assess a client’s capabilities based on their heart rate, muscle mass and other criteria, a good teacher will help a student envision what they can achieve, and provide the discipline and accountability to make it happen. So how does one find the best teacher? The oldest way, word-of-mouth recommendation, still works; such credibility cannot be bought, the teacher earns it with their record of success. But with modern technology, a good teacher has a strong online presence. Youtube has become a valuable educational resource; good teachers often post their instructional videos on their site, sharing their techniques and knowledge and demonstrating their commitment to their business. Blogging has also become a popular format for teachers; it provides them with another platform with which to connect with students. Perhaps the single most important thing to keep in mind when looking for a teacher is to realize that you are entering into a long-term relationship. Music is not learned in eight months or a year and a half; it is a lifetime investment. A music teacher will be your friend, but also a mentor, disciplinarian, therapist and more. You might not always see eye to eye; there may be disagreements or even fights. But ultimately, the best teacher for you will inspire you to get the most out of music. A great music teacher might not make your life easier, but they will make it better. When people think of instruments that can cross all stylistic boundaries of music, the ones that most often come to mind are the guitar, drums and piano, as well as the human voice. 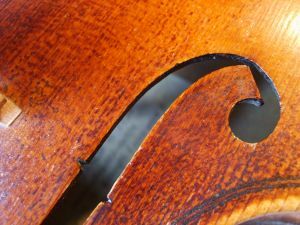 However, while most audiences probably associate the violin with the classical repertoire, that little instrument has had a big impact on many styles of music. While Beethoven and Mozart were composing their symphonies, on the other side of the world, a new style of music was forming in the Appalachian Mountains. Influenced by the Irish and Scottish fiddle tunes of their ancestors, people in the southeastern U.S. began creating what would become bluegrass music. Meanwhile, in the cafes of Paris, Stephane Grappelli was bringing the violin to yet another new genre of music: jazz. Later on, violinists such as Jean-Luc Ponty, Jerry Goodman and Michael Urbaniak continued to develop the instrument’s role in jazz, electrifying it and creating unique effects and sounds. Even the rock world has felt the influence of the violin. From the Beatles’ use of string quartets to the energy of Boyd Tinsley with the Dave Matthews Band, the violin has proven to be as much at home in big concert venues as intimate parlors. Whether burning through high-octane fiddle tunes, providing a touch of elegance at a bistro, getting an Irish pub dancing or trading smoking licks with a guitar in a rock band, the violin always shines. There are very few true musical icons in the world, and we lost one of them recently. Earl Scruggs, arguably the most influential bluegrass banjo player of all time, died last week at age 88. Scruggs’s impact on the world of bluegrass banjo is comparable to that of Jimi Hendrix and Chuck Berry on the guitar, Charlie Parker on the saxophone, Miles Davis on the trumpet and few others. There was bluegrass before Scruggs and bluegrass after Scruggs, and only a handful of musicians can claim to have that kind of influence. While Earl Scruggs will be missed, his music will continue to reach new audiences far into the future.